●Allows you to upgrade with accessories! ●Mounting screw hole designed for various mounting pitch! 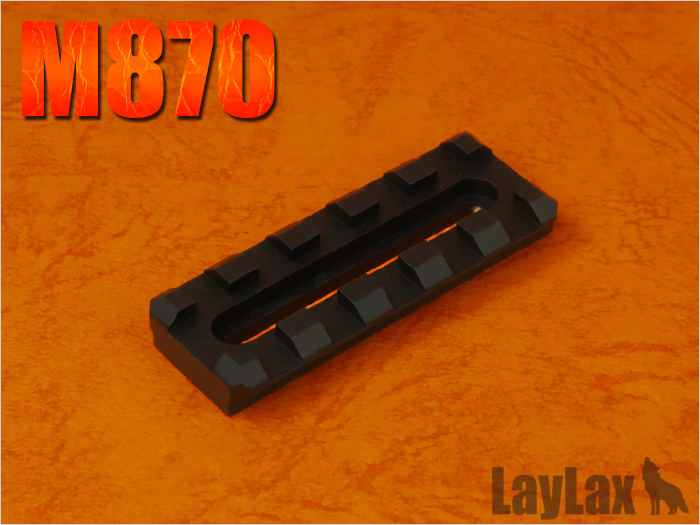 ●Compatible with "LayLax M870 & M3 Mini Rail System"! Rail which can be attached with items such as "LayLax M870 Mini Rail System/DX". You can easily attach the rail by included hex socket head cap bolt(M3 x 6mm), if you have the screw hole which has M3mm screw tap pitch=0.5(Small screw pitch type). It will also allow you to attach this rail onto plastic handguards with M3 x 6mm tapping screw (included in the set).